A recent piece published in Health Economics Review addressed the need to identify the evidence on the economic impact of patient navigation in colorectal cancer. The systematic review found that most patient navigation programs for colorectal cancer had high probability for being cost-effective when compared to usual care. This was particularly true for patient navigation programs focused on increasing adherence with colorectal screening guidelines using colonoscopy. 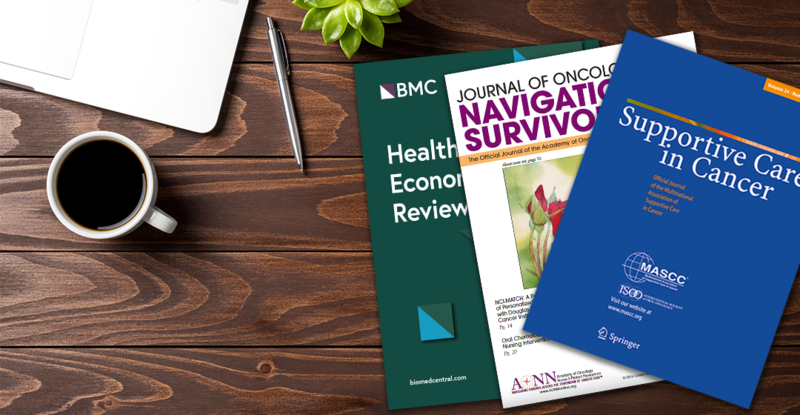 In Their Own Words: Patient Navigator Roles in Culturally Sensitive Cancer Care, published in Supportive Care in Cancer, discussed navigators’ own perspectives on their roles in providing culturally competent care. The study found that patient navigators are uniquely positioned to improve the cultural sensitivity of cancer care, particularly given their role as liaison between patients and providers. The study also highlighted the important of cultural sensitivity training for all navigators given the diversity of patient needs. The GW Cancer Center remains a leader in the field of patient navigation, particularly through the Oncology Patient Navigator Training: The Fundamentals, a free online course developed for oncology patient navigators without a clinical license. Nearly 700 learners have taken the course, and a recent piece published in the Journal of Oncology Navigation and Survivorship found that the training significantly improved learners’ knowledge, self-reported strategies and skills, and increased confidence in competency-based learning objectives. The number of cancer survivors in the United States is expected to reach 26 million by 2040. This fact highlights the critical need to improve survivorship care and rehabilitation care. In a study in the Journal of Cancer Rehabilitation, co-author Mandi Pratt-Chapman found that rehabilitation services are not typically part of the standard of care for cancer survivors. The piece advocated for the integration of interdisciplinary high quality cancer rehabilitation into the oncology care continuum as well as demonstrating its efficacy through ongoing multidisciplinary research. A part of the Recent Results in Cancer Research book series volume on Regulatory and Economic Aspects in Oncology, Patient-Reported Outcomes in Health Economic Decision-Making: A Changing Landscape in Oncology discussed the importance of integrating patient-reported outcomes in clinical care and research throughout the cancer care continuum. Patient-reported outcomes are valuable for health care and health economic decision-making, particularly when it comes to approving new therapies, assessing existing treatment options, and formulating reimbursement algorithms to ensure deliver of quality cancer care in value-based financing settings. Cancer survivors may feel overwhelmed and unsure of how to advocate for themselves during or after treatment. These recent pieces in Conquer Magazine on Working with Your Primary Care Doctor after Cancer Treatment and Advocating for Yourself During and After Treatment highlight some of the patient-focused resources available through the GW Cancer Center as well as tips designed to increase patient empowerment.